With Raiden being diagnosed with Autism a few months ago, I'm trying to give him the chill out time he needs, but encourage him with different things rather than the computer or his tablet. He would spend hours on them at a time which isn't good for his brain or to develop any stills. So when V-Cubes got in touch I thought this may be an answer to get his brain and mind doing something else. V- Cubes is a new generation Rubik's cube type game system. The cubes come in all different sizes 2x2, 3x4, 4x4 and go right up to 10x10. So any age can feel confident with doing an V- Cube. I know a normal rubik cube have always frazzled my head and I've never completed one. I wasn't sure if Raiden would take to the V-Cube but he did which really surprised me, the cube itself is more of a curved shape and the motion seems to run smoother and feels much better to hold. 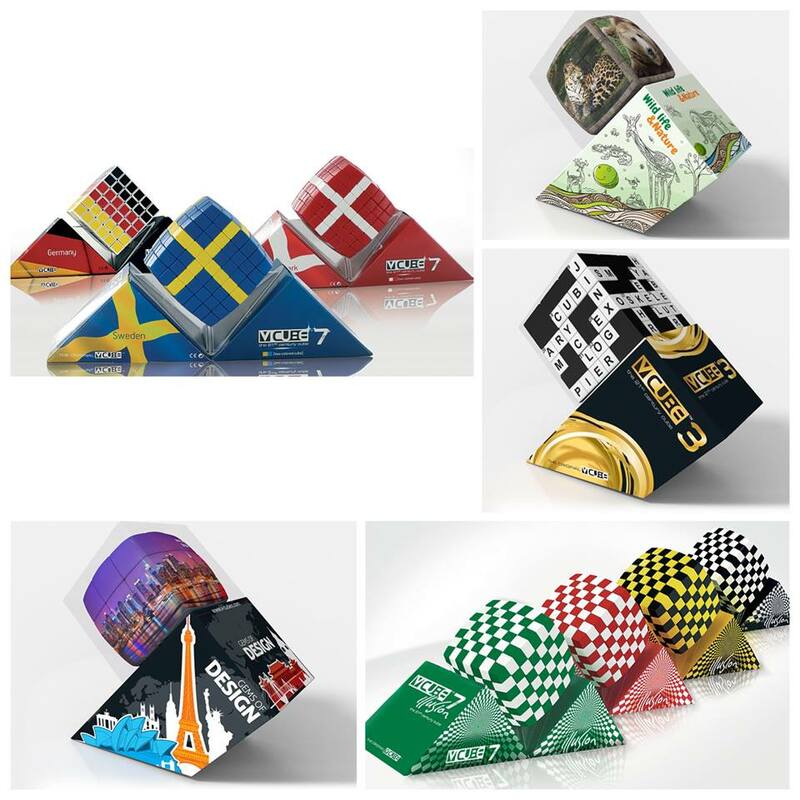 V-Cubes have the classic coloured cubes but they have different illusions, flags and you can even create your own cubes too. V-Cubes have turned an 80's toy in to a new and improved boredom buster for any age, there is a V-cube to suit everyone young or old.